A Florida traffic ticket dismissal is the best way to avoid heavy consequences on your driving record. That’s why learning how to get a traffic ticket dismissed is a valuable piece of knowledge that every driver should know. At the very least, you should research how to get a speeding ticket dismissed. This is especially helpful when you avoid going to court. In Florida, you have the option to bypass the court trial when contesting your ticket. You can file an Affidavit of Defense. The Affidavit of Defense gives you the ability to fight your ticket and state your plea through mail. 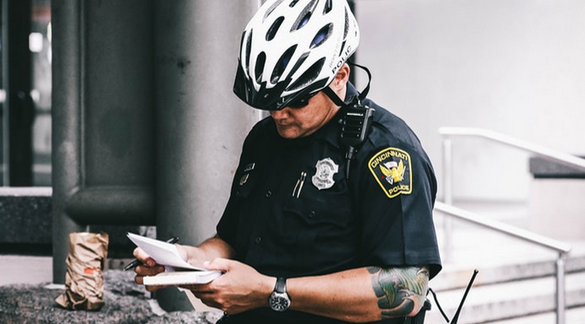 By doing so, you are avoiding a court summons.However, this method of contesting a ticket has its problems.When you contest a citation via Affidavit of Defense, you will have a lower chance of successfully dismissing the Florida traffic ticket. This is because you have limited capacity in declaring a defensive statement. Instead of speaking with a court directly, you have a single paragraph to say your defense.When you have clear evidence proving you are not guilty, you can choose to this method to save everyone some energy, time, and money. However, if you need to argue your stance thoroughly, you should consider meeting in court. Attempting to dismiss your traffic ticket in court comes at a high risk. You have the chance to resolve your ticket without accruing any points on your driver’s license and paying any fines. However, if you lose your court trial, you will have to pay court fees, potential attorney fees, and the fines associated with the violation.Contesting your ticket in court gives you the opportunity to defend your case in more detail than an Affidavit of Defense. You could also get lucky if the police officer who gave you the Florida traffic citation misses the trial. In this circumstance, the ticket might be dismissed. If you attend court, the DMV recommends you hire the assistance of a lawyer or attorney. Working with a legal professional will increase your chance of getting the ticket dismissed. The lawyer or attorney will also help review your case to see the best strategy moving forward into trial.There’re several ways you can convince the judge to dismiss the ticket.A popular argument is point out the officer’s observation or showing how they reached a subjective conclusion. By doing this, you are challenging the officer on what happened during the violation.The judge might cut you a break if you are able to show the violation was an honest mistake. This is common when the crime involved elements outside of your control, such as bad weather or rough road conditions.You can also argue that you committed the violation to avoid harming yourself or others. In other words, you acted in an illegal manner to benefit the people or person involved in the broken law. When you receive a traffic ticket, your ticket fine and penalty will vary depending on the severity of the violation. However, you will accrue points on your license. When your license has enough points, it could become suspended or revoked. This happens automatically, if the violation is severe enough. There are other options than trying to dismiss a ticket. You can save yourself time and, potentially, money by choosing to pay the ticket immediately or enrolling in a traffic school. These options are easier, and less stress-inducing than attending court.Enrolling in a traffic school will also prevent points being added to your driver’s license and possibly lower your annual insurance rate. Enjoyable and educational… sounds corny but it’s true!